September saw a continuation of natural disasters as Houston’s storm subsided only see to see Florida hit by Hurricane Irma. The market looked beyond the immediate economic shock and focused on the rebuild. Our thoughts go to all those affected by such traumatic personal consequences. This includes citizens of Puerto Rico and other Caribbean nations to whom these events are about much more than the effect to their GDP and other economic measures. Janet Yellen, Chairperson of the Federal Reserve, did what she does well; deliver to the market a steady path of outcomes. The Fed’s balance sheet will be trimmed. It is all but certain there will be a Fed Funds rate hike (the 3rd for the year) in December. The disturbance of natural disasters will allow the Fed to look through any surprising economic data for the next couple of months and continue with their plan. It is likely we will see an increase in US inflation in the months ahead, which will further support the Fed’s action. 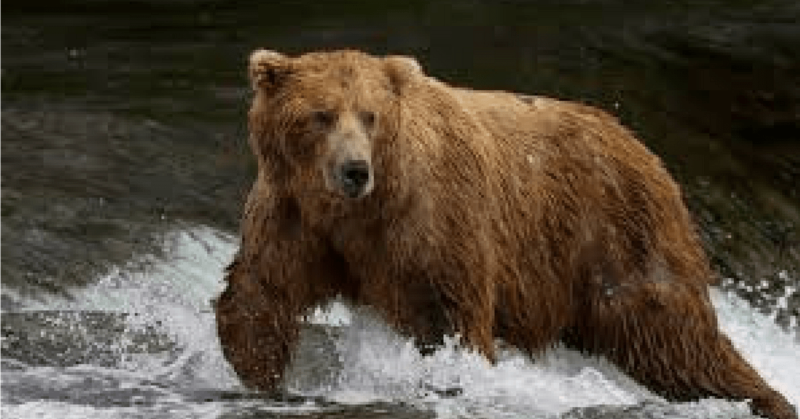 In Australia the bears (those calling for higher interest rates) had control of the market. This was aided by another strong print in employment of 54,200 new jobs for the month. The market is now pricing a full 25bp move in the RBA cash rate by September 2018. This repricing had the effect of creating a 10 bp sell off in yield of the 3 year Australian Government Bond. Market commentators who were calling for 1 – 2 RBA rate hikes in 2018 owned the news cycle and bonds were described as behaving badly. The Bloomberg AusBond Composite Index for all maturities (the common benchmark) produced a negative return of -0.31% for the month. The Treasury Index for all maturities, which is the single largest contributor to the composite index, produced a negative -0.47% return. Even the Credit Index was affected by the mood and produced a negative return of -0.04%. 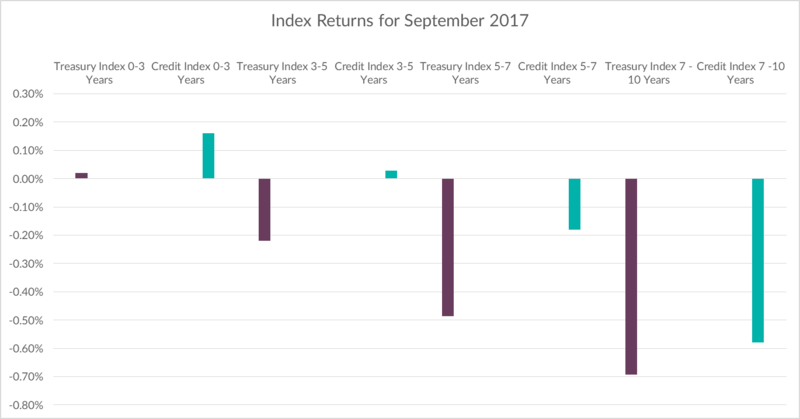 It is worth looking into sectors of the markets to see where the best returns were to be had in September. It is worth looking into sectors of the markets to see where the best returns were found. The return for the Credit Index (corporate bonds) for all maturities was negative. But it still outperformed the equivalent Treasury Index (Government Bonds). Corporate bonds generated a -0.04% return versus the government bonds which produced -0.47%. Even though yields on bonds increased (prices lower), 0-3 year and 3-5 year Credit Indices produced a positive return of 0.16% and 0.03% respectively. The ability to produce positive returns in this market is partially due the fact that shorter dated bond prices are less sensitive to changes in Yield than longer dated bonds. Also, with corporate bonds the benefit of earning higher income off-sets the change in price caused by higher yields. As it is a quarter end we review the year to date and 12 month returns. Year to date the most commonly referenced indices, which include bonds of all maturities, have produced positive returns. (Composite Index 2.18% and Credit Index 3.54%). This is despite the current mood of the market. Of note is the continuing positive performance of 0-3 year corporate bonds. 2.88% for a 12 month period and 3-5 year corporate bonds 2.71% for the same 12 month period. Have bonds been behaving badly? It is important to note that not all bonds have behaved badly. Longer dated bond returns have been affected by yields moving higher. As a result, 0-5 years have produced reliable positive returns, benefiting investors who invest in corporate bonds with these maturity features. Since the creation of the index in 1989, the 0-3 year Credit Index has never had a negative annual return. The 3-5 Credit index has only had 1 year of negative returns. It should be noted that this record may be harder to defend with yields at lower levels. However, it highlights the quality features of shorter dated corporate bonds.